Welcome to Holiday Side Dish Week! A talented group of food bloggers -- including The Weekend Gourmet -- are sharing our favorite holiday side dish recipes this week. There’s a broad range of recipes, and you can be sure to find tons of creative side dish options to up your holiday side dish game. 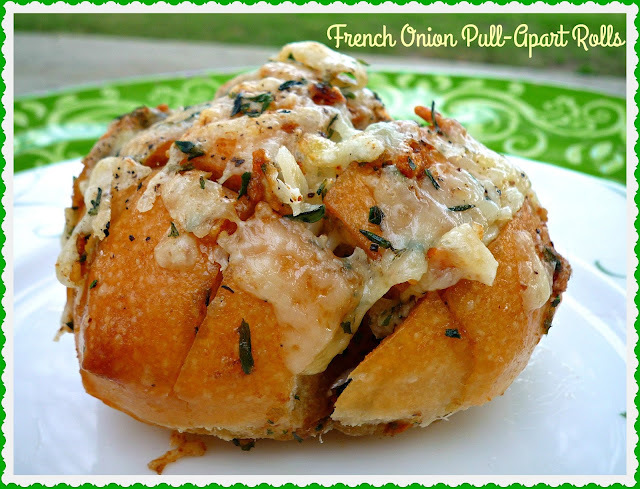 Today, I'm sharing the recipe for my over-the-top French Onion Pull-Apart Rolls...they're *definitely* a step up from typical holiday dinner rolls! If you love French onion soup, you'll go crazy for these rolls -- which feature all the flavors of the classic soup. They're easy to make and oh-so-delicious! 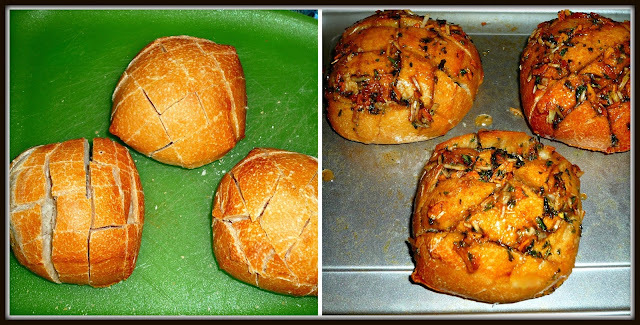 Even better, these savory dinner rolls can be assembled up to four hours ahead. Simply store covered, in the refrigerator until you're ready to bake. The smell in your kitchen while these rolls bake is amazing! Expecting a large holiday crowd? This recipe is easily doubled. 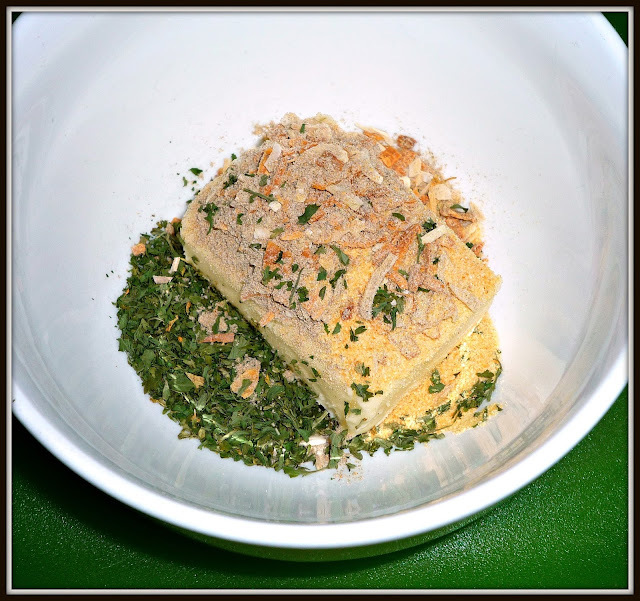 Step 1: Add the butter, onion soup mix, garlic, and parsley to a microwave-safe bowl. Microwave for 1 minute, until the butter is melted. Stir well to completely combine all ingredients. Set aside until you're ready to assemble the rolls. Step 2: Slice the sourdough rolls horizontally and vertically approximately 1 inch deep, into rows. Spread the cuts slightly apart. Carefully spoon the melted butter mixture into each cut, making sure the entire roll contains some of the butter mixture. Some of the onions and herbs from the butter mixture should also be on top of each roll. Place the rolls on a rimmed baking sheet. Step 3: Add 1/4 cup of Gruyere cheese to each roll, placing some cheese inside the cuts of the roll and mounding the remainder of the cheese on top. 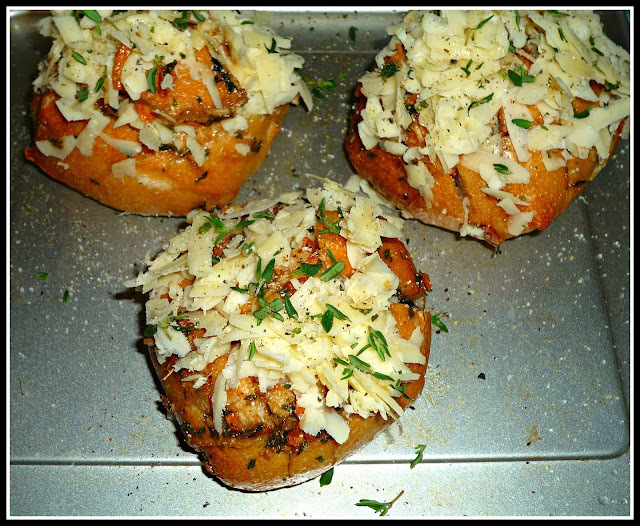 Sprinkle chopped thyme on top of each roll, then sprinkle with salt and cracked black pepper. Step 4: When ready to bake, preheat oven to 375. Bake the rolls for 10 minutes, until the they are toasted and golden brown. The cheese should be melted inside the rolls and on top. Serve immediately, while the cheese is gooey. These cheesy rolls are positively addictive! If you close your eyes, you'll swear you're tasting a bowl of French onion soup. The nutty Gruyere cheese and herbal thyme pair perfectly with the onion-flavored butter. These rolls are a perfect pairing for roasted turkey -- as part of your holiday meal OR with leftover turkey for lunch the next day. 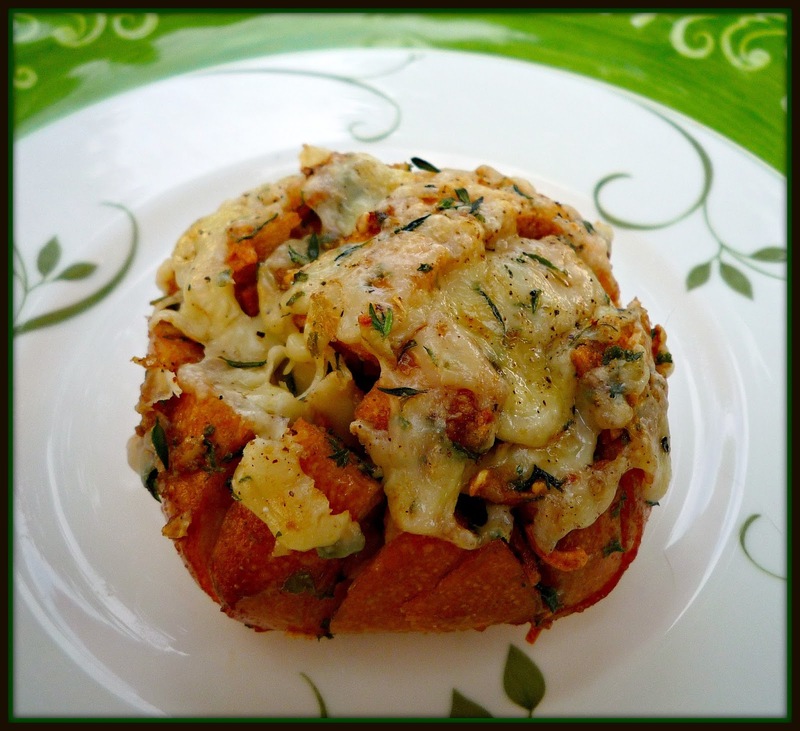 Trust me...you *need* to try these cheesy pull-apart rolls ASAP! 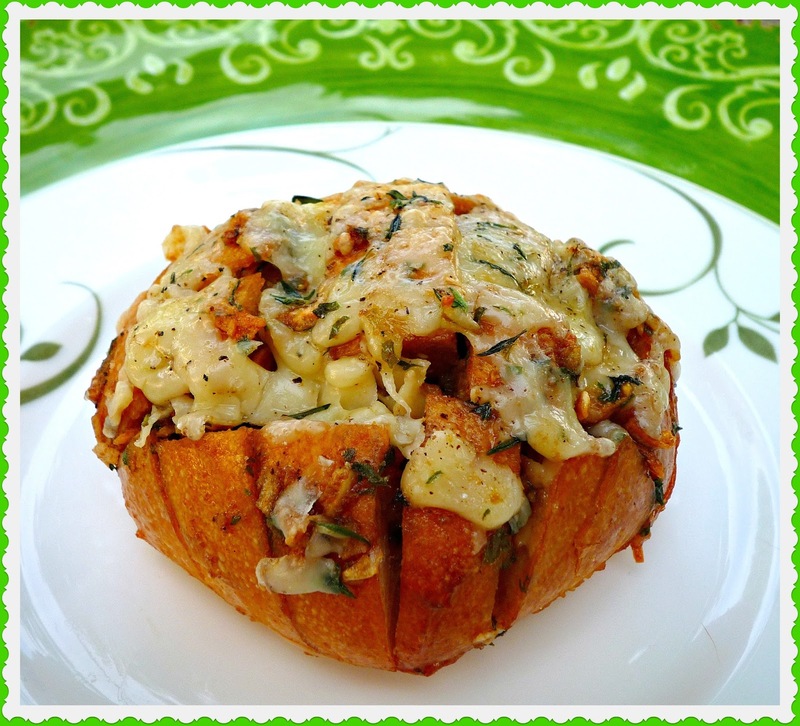 Be sure to check out all of the fabulous Holiday Side Dish Recipes being shared today. They're perfect for the upcoming holiday season entertaining! Oh my YUM....I could make a meal just of these rolls.